Always accessible, always professional, always compassionate. The most excellent Dr. Scott Ferguson and staff–we are so very lucky to have you close by. My family and I have been patients of Dr. Ferguson since 2005. The Doctor is always very thorough and during a routine eye exam in 2012, Dr. Ferguson discovered a serious condition in one of my eyes. He immediately made arrangements for the eye surgery. The surgery had an excellent result. I will always be grateful for Dr. Ferguson’s compassion and first-rate quality of care. The office staff is also exceptional. 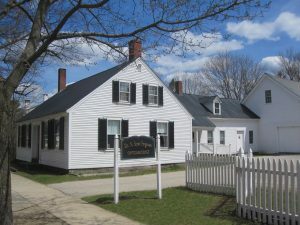 How blessed were we to move to a little town in western Maine and find such superb care and kindness from Dr. Ferguson and his staff. The care which they give is beyond compare. Their patience with patients is extraordinaire!